The sister of a woman who died from an aggressive brain tumour has been left devastated after precious mementos were stolen. Michelle Morton from Hastings died in October, 2014, leaving behind her partner of 14 years Amir Ahmed. 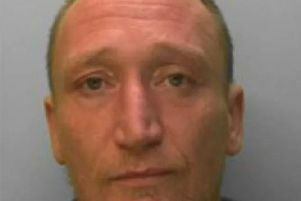 Amir had stored items in a garage in Dallington Close, Bexhill, while he was between houses. But last Thursday (April 21) Amir made a shocking discovery. Michelle’s sister Sam said: “He went round to get some stuff out of storage and lots of stuff had been nicked along with personal stuff of my sisters like her engagement ring, jewellery we put on her before we laid her to rest. The stolen items include several trinkets belonging to Michelle, including perfumes, a clown necklace, an Etsy charm bracelet and poodle necklace. Other items stolen included an Olympic coin collection. The break in happened sometime during the previous two weeks. Sam, 29, said: “They are things they will get a couple of quid for, but for us it’s irreplaceable. Michelle, from Cornwallis Street, worked as a dog groomer at Pawfect Pooch in St Andrews Mews. In 2006, aged just 22, Michelle fought a brave battle after she was diagnosed with a rare form of mouth cancer called Nasopharyngeal. After beating the disease, she went on to raise hundreds of pounds for the Mouth Cancer Foundation. There were fears Michelle would not be able to have children, following her gruelling cancer treatment. But to her delight, she fell pregnant. But that joy was short-lived. Michelle passed away aged 30, just two months after her diagnosis. Sam hopes someone can help reunite the family with Michelle’s precious items. She said: “It’s so important to us. Anyone with any information is asked to call Sussex Police on 101. * Don’t miss out on all the latest breaking news where you live.